The city of Utrecht is the 4th largest city in the Netherlands, it is located, and capital of, in the province of Utrecht. The city was founded by the Romans around 50 AD and was named Traiectum Romanum. In the Middle Ages it was the most important city in the nothern and eastern part of the country. In 1579 the 7 nothern provinces in The Netherlands signed the "Unie van Utrecht" (Union of Utrecht), where the provinces declared to fight against the Spanish rule. This was the beginning of the Republic of The Netherlands (Republiek der Zeven Verenigde Nederlanden). 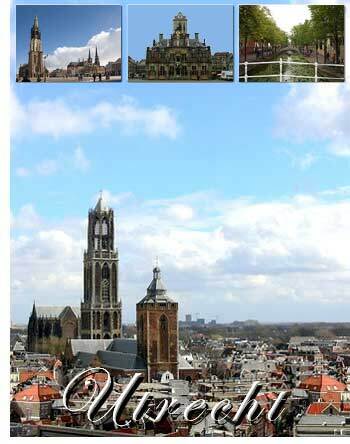 Utrecht has the highest church tower of The Netherlands, the Dom.